Longmoor Community Primary School | Operation Christmas Child Lifts Off! 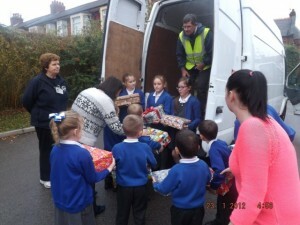 Operation Christmas Child Lifts Off! 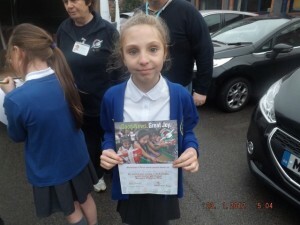 This year, Longmoor Community Primary School has taken part in Operation Christmas Child once again. 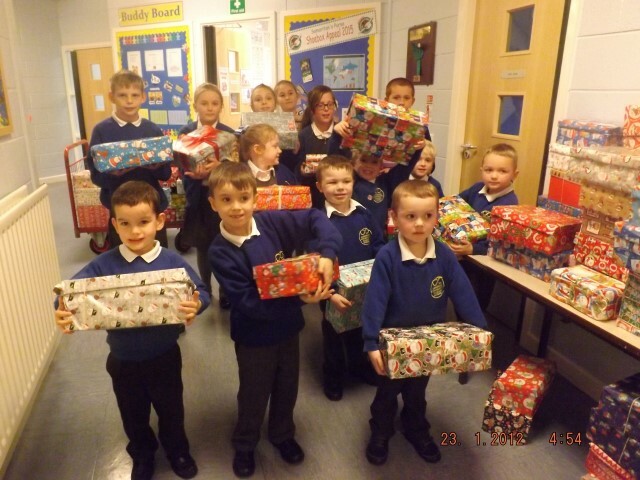 We have been getting shoeboxes, wrapping them in Christmas wrapping paper and filling them with lovely gifts for a child aged 2-14 abroad who doesn’t have many presents. 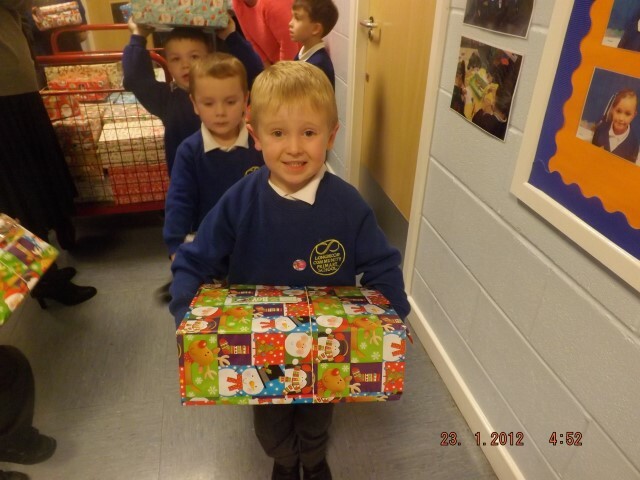 We have packed toys, books, games, toothbrushes, soap and other useful gifts into our boxes. All the boxes were collected last week and loaded onto container ships travelling to Eastern Europe, Africa and other parts of the world. 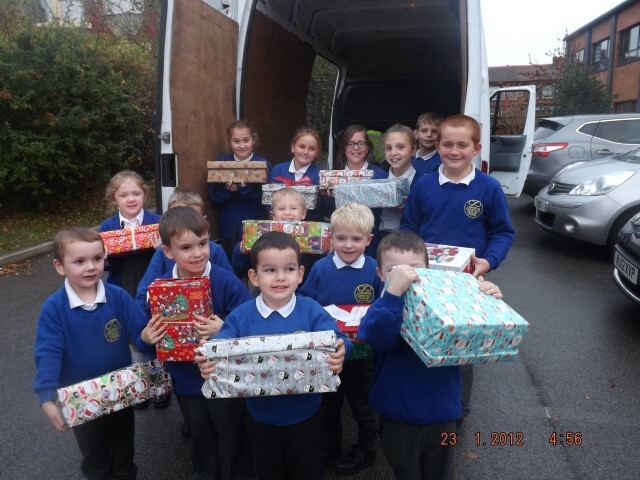 If you brought a shoebox in, we would like to say a massive thank you because…do you want to know how many shoeboxes we had? Okay, the total amount of shoeboxes that pupils of Longmoor have brought in is 90! All the pupils and parents have made a great contribution and Miss Kelly organised it all. Coming soon, we are interviewing volunteers at Operation Christmas Child to find out where our shoeboxes went!